This class can shorten text to fit within a limited length. It can shorten a given text string by truncating text that exceeds a given length. The class can also shorten file names by limiting them to a given length but preserving the original file name extension. 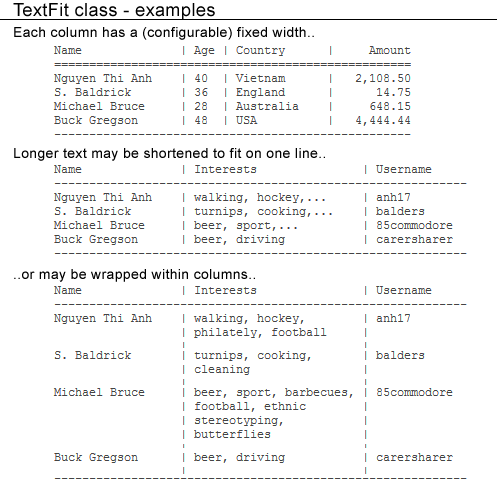 It may also fit text into columns of table cells by either shortening or wrapping the text in the column. Prize: One downloadable copy of PhpED Professional Sometimes it is necessary to limit the length of text to be displayed in certain circumstances. That is the case of text in e-mail messages or file names. This class provides a solution to truncate text in a way that it does not cut words in the middle. It can also shorten file names in a way that they do not exceed a certain limit, but still keep the file extension at the end of the file name.